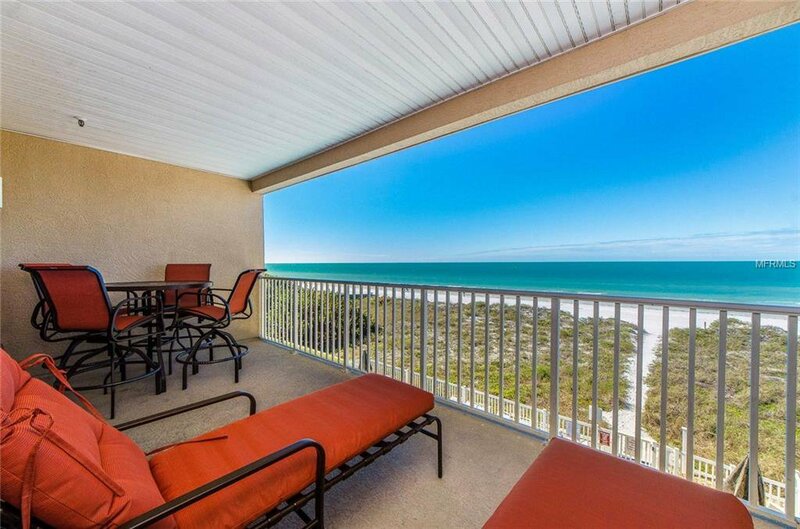 102 Gulf Boulevard Unit 305, Indian Rocks Beach Property for Sale in Oceanside , it has 2 bedrooms, 2 bathrooms with 1279 square feet. Discover Oceanside of Indian Rocks Beach! Gorgeous Panoramic Views of the Sunset & Beaches - All the Comforts of a Full Time Residence - Proven Rental Income History! This Tastefully Renovated Direct Gulf Front Condo offers a Spacious 1,279 Square Feet, a Generous Balcony with New Attractive Patio Furniture, 2 Bedrooms/2 Baths, fully furnished with trendy, colorful décor, washer/dryer inside & assigned under building parking. Oceanside condos can be rented for as little as 1 week, and this unit has averaged over $42,000 gross annual income over the past 5 years. Once you see the interior, you’ll understand why guests return to this condo year after year. The Quality Low maintenance tile floors in living areas are perfect for this coastal location; master bedroom en suite with updated bath features a granite counter with vessel sink, custom tile glass enclosed shower with multi shower jets, plus walk-in closet. Guest bedroom is large and easily accommodates 2 Queen size beds. Clean & Fashionable feel of the home ensure owners and guests will have a wonderful time. Common areas include a gorgeous beach side pool & spa with a paved lounge area, BBQ grills, designated dog walking space & of course- access to the Beach! This prime "Narrows" location across from the Intracoastal waterway offers great fishing, boating, & paddle boarding, & is within walking distance to beach shops, restaurants, & pubs with live entertainment, 15 minutes to Clearwater or St Pete Beach, & 40 minutes to Tampa International Airport. Listing courtesy of COLDWELL BANKER SUN VISTA. Selling Office: KELLER WILLIAMS - NEW TAMPA.